Big Brothers Big Sisters of Shelby & Darke County is pleased to accept a grant from the Lydia E. Schaurer Memorial Trust for the use of computer upgrades. With technology ever-changing, updates are imperative for the organization to continue offering beneficial mentoring programs in our local schools and communities. In 2017, the agency served over 500 children ages 18 and younger. Children enrolled in the program are provided with positive role models who offer guidance, support, and life-enhancing activities. Additionally, Big Brothers Big Sisters offers a Big Buddies mentoring program where high school freshman, sophomores, juniors, and seniors meet two times per month for site-based activities which are planned and supervised by agency staff. Each high school student is assigned to work with one or two children throughout the nine month program. Big Brothers Big Sisters’ vision is for all children to achieve success in life. Their mission is to provide children facing adversity with strong and enduring, professionally supported one-to-one relationships that change their lives for the better forever. By partnering with parent/guardians, volunteers, and others in the community they are accountable for each child in their program achieving higher aspirations, greater confidence, better relationships, avoidance of risky behaviors, and educational success. Big Brothers Big Sisters is a non-profit, United Way member agency, and is supported through financial contributions and annual fundraisers. 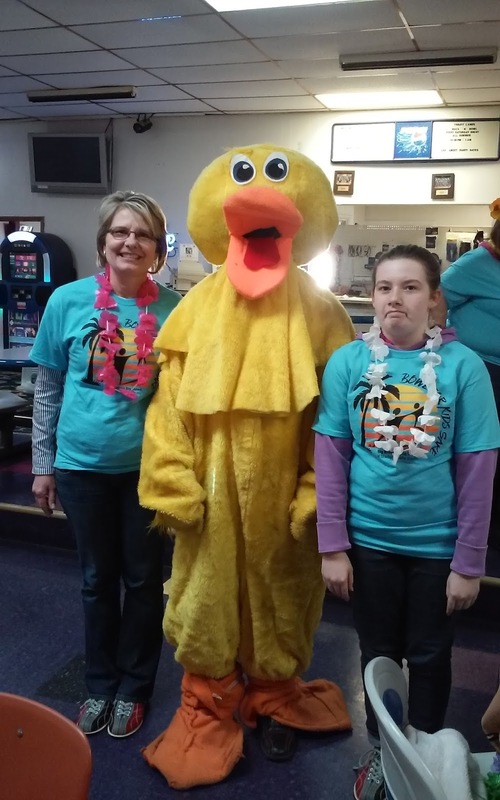 Their next fundraiser, Bowl for Kids’ Sake, will be held on March 2 and 3 at both Treaty Lanes in Greenville and Bel-Mar Lanes in Sidney. If you would like to make a big difference in the life of a child, either through volunteering, financial contribution, or event sponsorship; please contact the agency at 937-492-7611, 937-547-9622, or go to www.bigbrobigsis-shelbydarke.org for more information. Pictured: Big Sister Debbie Bueter and Little Sister Cynthia Morgan, daughter of Tim Morgan, enjoy their time together during Big Brothers Big Sisters Bowl for Kids' Sake event at Treaty Lanes last January. Their match is one of many created by the agency.